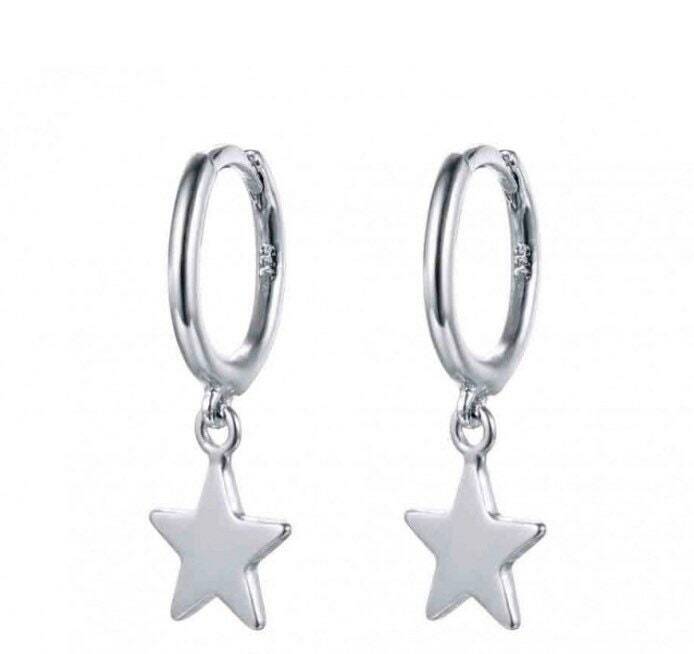 Tiny hoops with hanging stars. Made in silver of first law. You won't want to take them off. 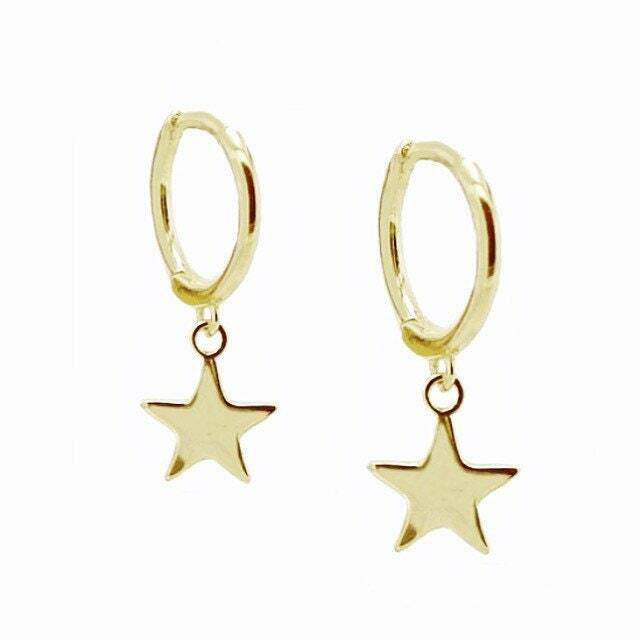 They are perfect for end-of-year gifts. They are a sure value in trends this season. They have a secure, easy-to-put closure.